STATESBORO, Ga. — Department of Music student, Eric Spencer, placed fourth in the International Trombone Association’s Larry Wiehe Solo Trombone Competition. Spencer was the first alternate for the finals at The Julliard School in June. 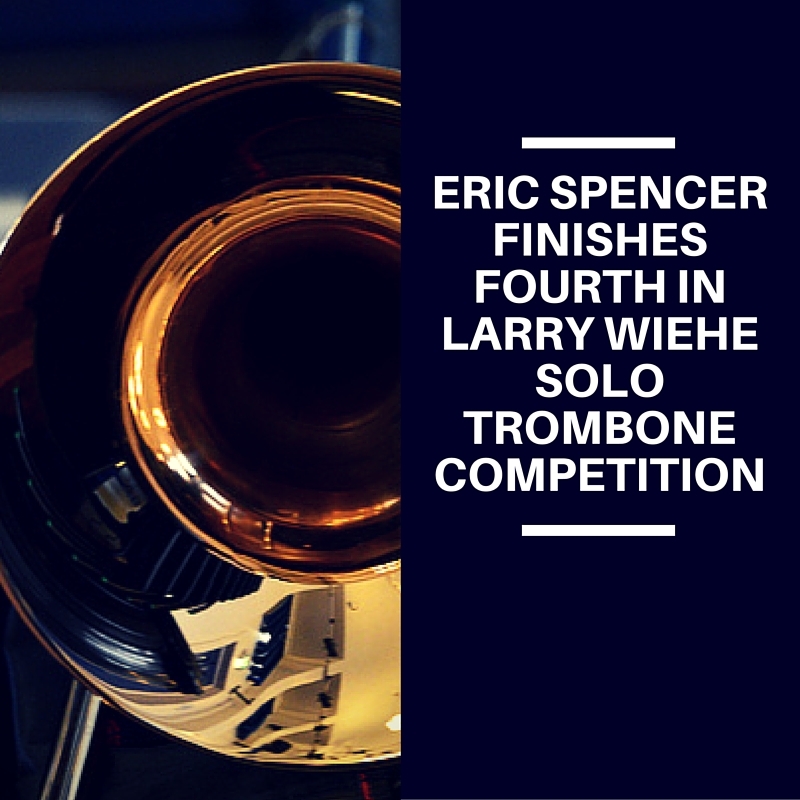 The ITA Larry Wiehe Solo Trombone Competition is an international competition for trombonist age 23 and under. This was Eric’s second entry into the highly competitive field, and he previously finished fifth two years ago. The finalist for the Larry Wiehe Tenor Trombone Competition were Charles Dieterle (DePaul University), Hélio Góes (Faculdade Integral Cantareira), and Marco Rodrigues (ARTAVE). Judges for the competition were Ronald Barron (Boston Symphony Orchestra, retired), Ian Bousfield (Bern University of the Arts), and Jimmy Clark (Texas A&M University-Commerce).